A batman party for my little hero. 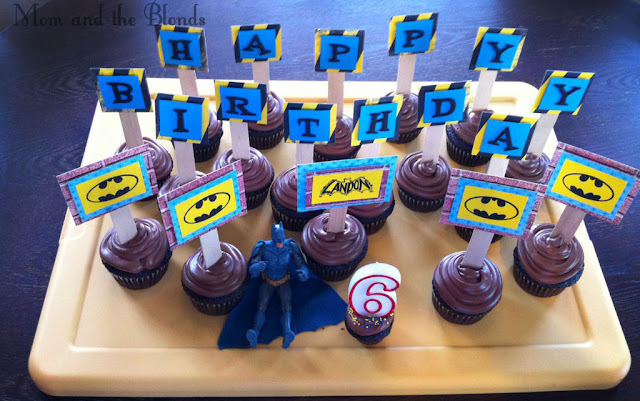 The Batman Birthday Party was fun for all! 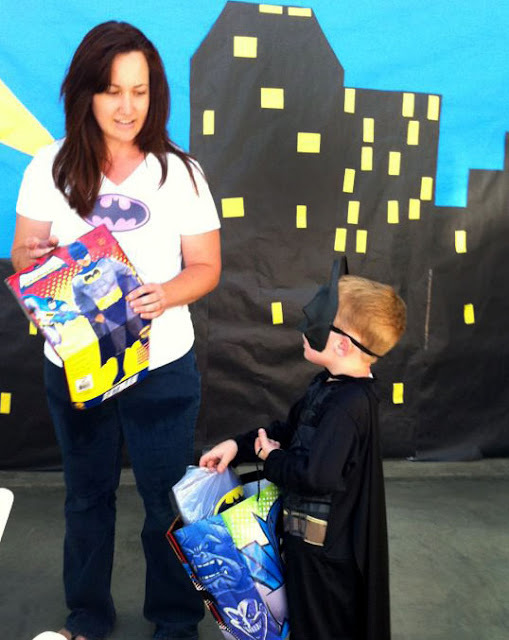 Everyone attended in their favorite super hero costume (grandparents too). I purchased 4' wide colored paper at a teacher's supply store by the yard. With the help of my husband and dad, we covered the top half of the garage in blue, then cut out building shapes in black for the lower half. With the addition of a few yellow windows and a bat signal, the door was ready for the party. I made some glossy color copies of Batman comic book pages. 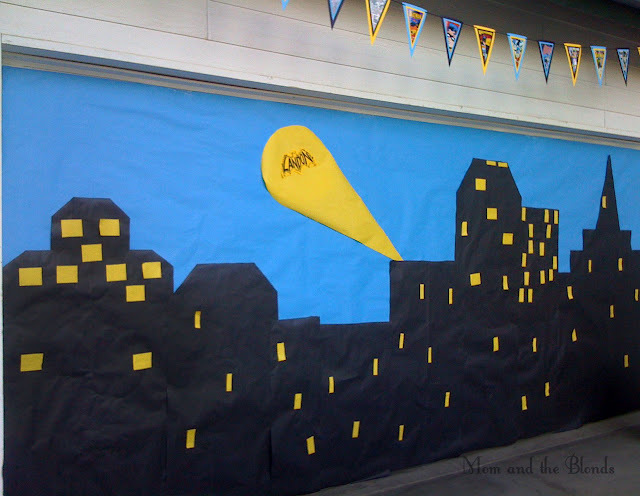 Then mounted them on colored card stock, punched holes in the corner, connected them with black ribbon, and created the pennant banner. I used a yellow lid as a make-shift tray for the cupcakes. Hey, sometimes you just have to use what you have! 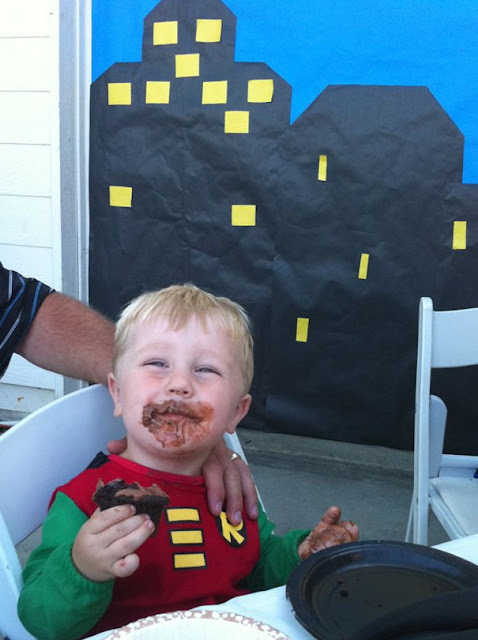 Little brother, dressed as Robin, really liked his cupcake! 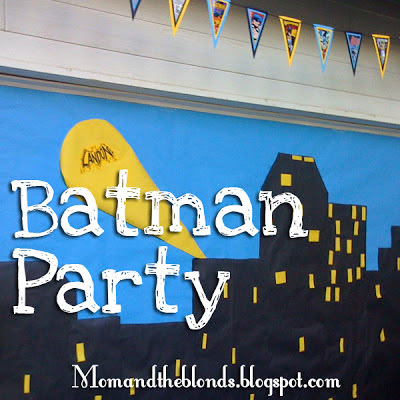 The birthday boy started out in his black batman costume, but was pleasantly surprised with a new batman costume during the party. 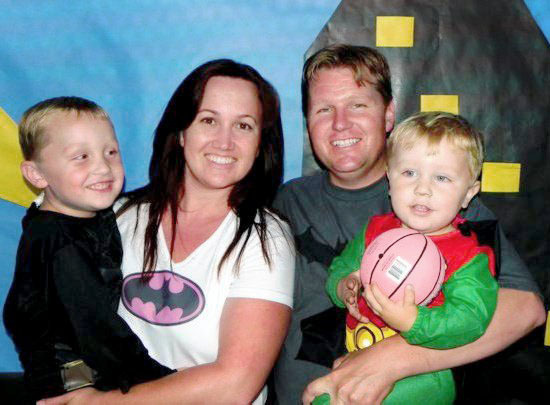 I ordered an iron on transfer to transform a simple white shirt into "batmom." Thank you! 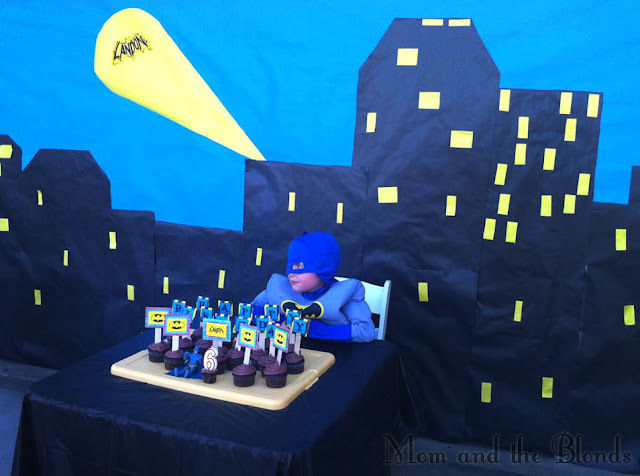 Your party decorations were amazing!